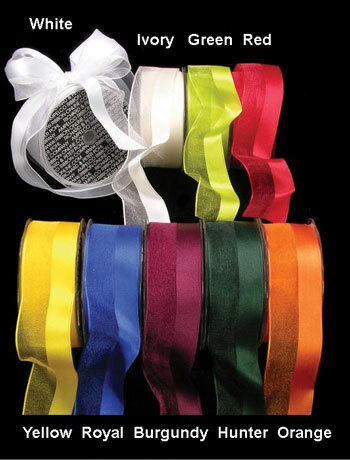 The elegant feel of sheer and satin, will add inspiration to all your creations! 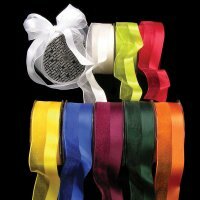 The wired edge of this ribbon will bring extra body & hold makes this ribbon a dream to work with! At The Ribbon Diva, we carry a large selection of Sheer & Satin Ribbon that will make are a great addition to any project or event! ....Please select Burgundy Green Hunter Green Ivory Orange Royal White Yellow .